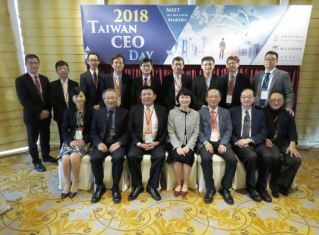 TAIPEI, TAIWAN--(Business Wire/Korea Newswire) April 13, 2018 -- Taipei Exchange (TPEx), in cooperation with Capital Securities, will be holding the 2018 Taiwan CEO Day in Hong Kong on April 12 through 13. There will be 17 TPEx Mainboard and Emerging Stock Board listed companies joining the event including Chime Ball Technology Co., Ltd., TTFB Co., Ltd., WIN Semiconductors Corp., Bothhand Enterprise Inc., Macroblock Inc., ATE Energy International Co., Ltd., Intech Biopharm Ltd., Senhwa Biosciences Inc., Chunghwa Precision Test Tech Co., Ltd., Chang Wah Technology Co., Ltd., Syngen Biotech Co., Ltd., Phison Electronics Corp., Bon Fame Co., Ltd., Green River Holding Co., Ltd., Kwong Lung Enterprise Co., Ltd., Xxentria Technology Materials Co., Ltd. and Pan German Universal Motors Ltd. The participating companies represent main industry categories within the TPEx market that includes Electronic Parts/Components, Computer & Peripheral Equipment, Tourism, Semiconductor, Biotechnology & Medical Care, Electric Machinery,Trading & Consumers' Goods Industry and Optoelectronic. 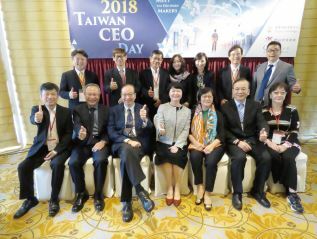 Taipei Exchange emphasizes that not only do the companies joining the event have excellent records of profitability, but also that most of the representatives from these companies are senior executives (including 11 chairmen and 7 CEOs). This event will provide these companies with an opportunity to introduce themselves to international institutional investors face- to-face, present a briefing on their current operating situation and share their vision regarding both the company itself and the industry as a whole. Taipei Exchange proactively builds bilateral channels to connect TPEx-listed companies with international capital markets. Through this event, Taipei Exchange will offer the listed companies an excellent opportunity to introduce themselves to global long-term investors and a forum in which they can receive strategic advice from overseas investors directly. On the other hand, international investors will also benefit from discovering more investment candidates among the outstanding companies listed on TPEx to add to their investment portfolios.